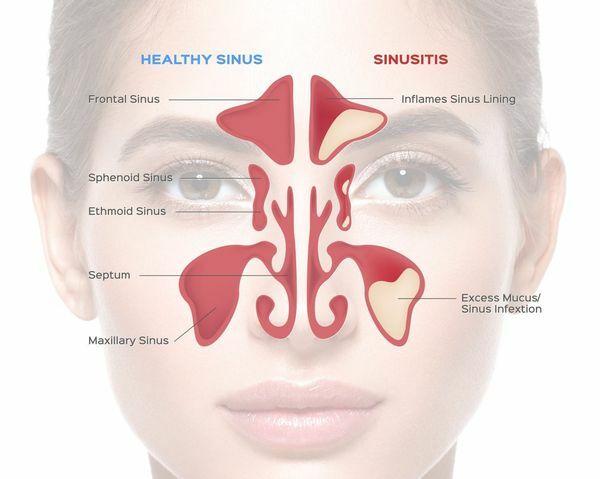 Sinusitis can be uncomfortable and frustrating. Whether you suffer from an acute or chronic form of the condition, Dr. Michael S. Cohen can provide effective sinusitis treatment that suits your needs. Dr. Cohen treats patients of all ages at his multiple office locations throughout Long Island, NY. In every case, he provides the most conservative treatment possible. When necessary, he can provide surgical care utilizing the latest techniques and technology. Sinusitis, commonly known as a sinus infection, is characterized by inflammation of the sinuses, which swell in response to an infection. The inflammation and excess mucus resulting from a sinus infection can often be resolved with conservative and noninvasive treatment. Fatigue is also often associated with a sinus infection. While one of these symptoms alone typically is not indicative of a sinus infection, patients exhibiting several symptoms should schedule a visit to Dr. Cohen, a dedicated ear, nose, and throat specialist. As a board-certified specialist, Dr. Cohen can relieve your symptoms in an effective and efficient manner. Sinusitis occurs when the sinuses become infected by a virus, fungus, or bacteria. Allergies or a deviated septum may also lead to an onset. The cause of your sinusitis is important because it will determine what type of treatment will be effective. For instance, viral infections are not treated with antibiotics, but bacterial infections are. Acute sinusitis typically lasts from four to 12 weeks. Patients exhibiting symptoms for about four to 12 weeks are diagnosed with subacute sinusitis. If you have sinusitis for more than 12 weeks, it is considered chronic. While viral infections will typically heal on their own and can be aided by decongestants, bacterial infections may require antibiotics as well as drinking plenty of fluids and utilizing moist heat. Patients with chronic sinusitis may require multiple antibiotics as well as saltwater rinses and corticosteroid nasal spray to control inflammation. If your condition does not respond to conservative treatment due to a deviated septum or other conditions, Dr. Cohen may recommend balloon sinuplasty. This involves the endoscopic placement of a balloon within the nasal cavity. The balloon is subsequently inflated to widen passageways and facilitate drainage. This treatment involves no incisions. If Dr. Cohen determines that surgical alteration of tissues within the nasal cavity is the best solution for your needs, he will use endoscopic techniques that result in minimal tissue trauma and facilitate a timely recovery. As a board-certified specialist, Dr. Cohen can diagnose and treat nose and sinus issues to relieve your symptoms in an effective and efficient manner. Contact us online or by phone at (516) 921-6780 to schedule your consultation.